An epic look at the battle that turned the tide of World War II, the foreign war drama Stalingrad ranks as the highest-grossing Russian film of all time and Russia’s official submission for Best Foreign Language Film to the 86th Academy Awards. 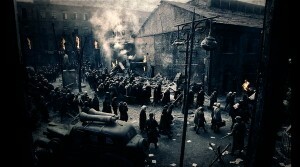 In the film, a band of determined Russian soldiers fight to hold a strategic building in their devastated city of Stalingrad against a ruthless German army, and in the process become deeply connected with two Russian women who have been living there. 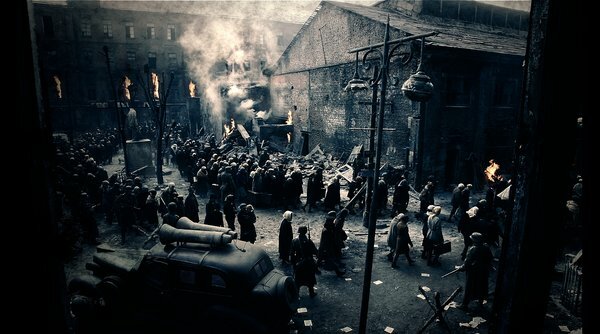 Stalingrad is directed by acclaimed Russian hitmaker Fedor Bondarchuk (9th Company), who was introduced to the world of cinema at an early age, as the son of the Academy Award-winning director Sergei Bondarchuk. The film stars Thomas Kretschmann (King Kong), Petr Fedorov, Mariya Smolnikova and Yanina Studilina. The R-rated movie opened in U.S. theaters in March, 2014 on a limited basis and grossed some $1.1 million at the box office.